Warwickshire….cars, football, industry, Coventry, motorways, Shakespear, the Belfry…a bit of a mixed bag. John asked me how I liked to fish? “ For a couple of hours, then maybe a pub snack, and then a couple more” I responded. “There are no pubs where we are going” was his concerning reply! To the countryside is where we went, even if the river ran under and alongside the A5 trunk road, but just for a little while. Diving off the main road, and through a padlocked gate reminded me of accessing Fortress Trossley, in Kent, where I spent many a happy hour in the late nineties and early noughties with Fraser and Pick. 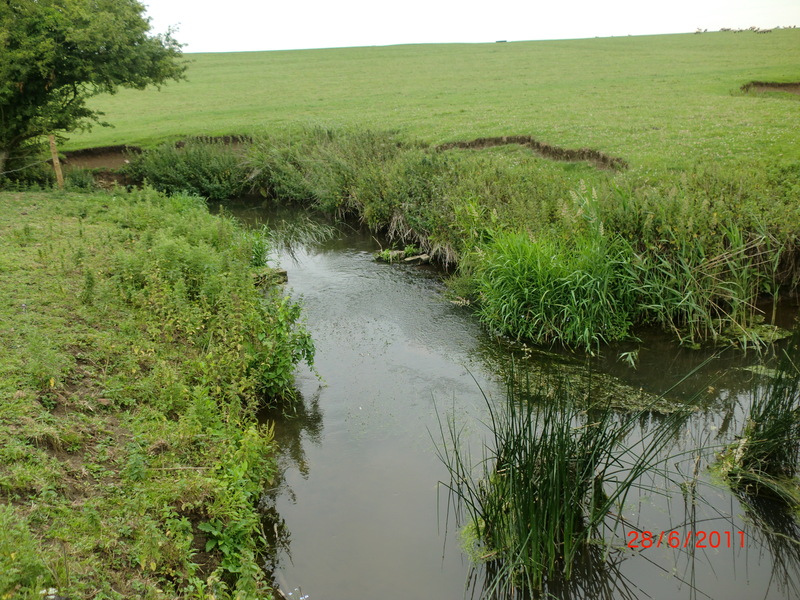 And the river is a typical lowland stream, running over clay, and with a just little colour, and low, as all waters have been this season. John determined that our best plan was to walk to the bottom of the beat, at least to where this most diligent of membership had done the most improvement work, and whilst we chatted and he imparted much of what has and is being achieved, he had continually to drag an inquisitive me back from the waterside so we could complete our 45 minute walk. but elsewhere, a continuum of bends and pools, and enticing lies under overhanging bushes, interspersed by riffles caused by the introduction of many, many deflectors, and the odd etched pool below where rocks have been placed to create mini weirs. There are places where clearance makes casting easier, and many where, and always above and behind where one saw a fish rise, that the nettles are dense, and I will have to make another visit to Farlows, or Orvis, or Grangers, to replenish my stock of Adams and Klinkhamers, as well as my 6x tippet material. 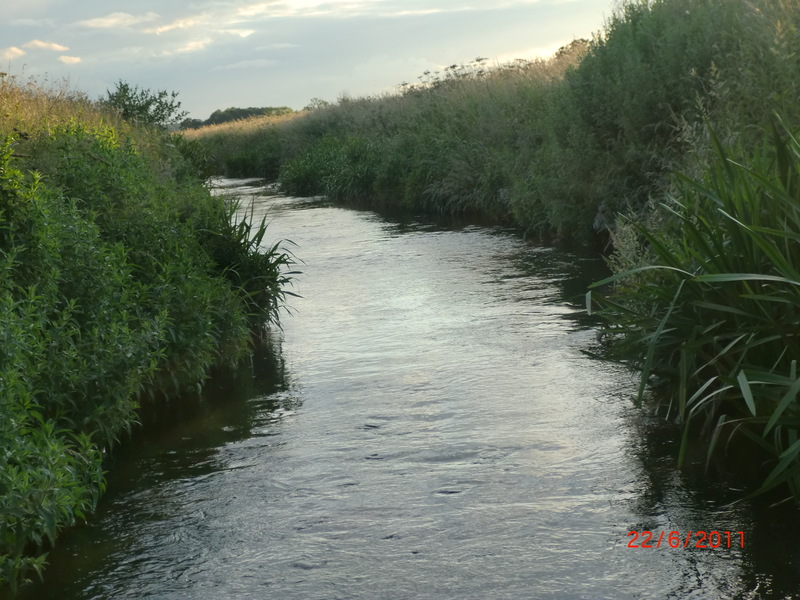 crawling and hunching down to approach the bankside where he favoured to run a dry down as close to the overgrowth as possible to tempt trout out and from under those roots and grasses….and did, and missed, frustratingly. But also, did! Mine was a more conventional approach, seeking fish from familiar lies in the safety of rippled waters alongside feed lanes, and cast with a longer line than John’s Dart like flicks. We happily leapfrogged each other, and my first came to a parachute Adams where I thought one might be lying in quick water, above the site of an ancient mill. 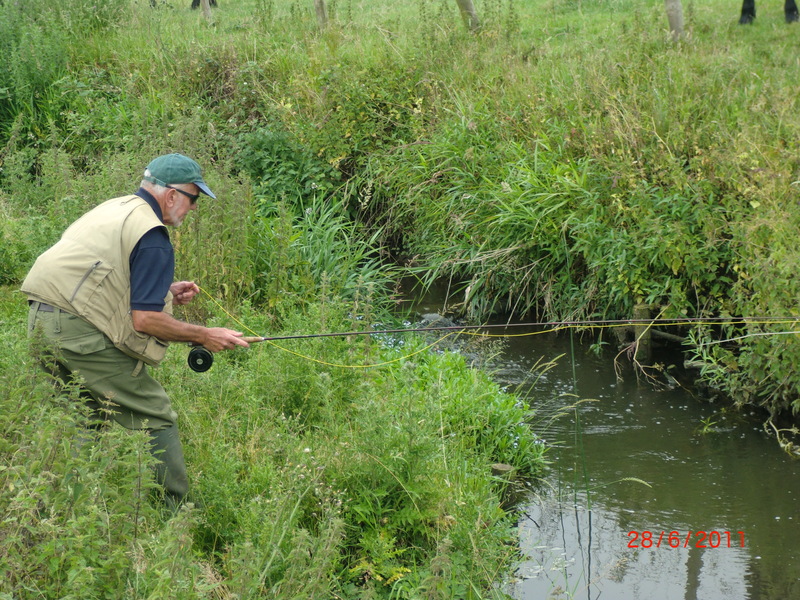 And then so did a second, along a stretch which John described as unfishable a year ago, but with considerable clearance work is now, and members have been rewarded, for along its one hundred yards or so, more fish have been caught there this year than elsewhere on the water. And it was the only stretch where fish rose constantly, and we both hooked and missed a couple. I learned that only a few years ago, the club was close to going under when falling membership reduced subscription income to a total, barely higher than rents payable; and that a growing interest in the Midlands for conservation, is credited with rebuilding numbers. Maybe ‘word’ of what is being undertaken by this noble band is getting about…I hope so! Conservation and preservation of what is so special to us, must not be limited to the eforts of the few…the countryside, and all that is stands for and provides, is unique. HRH The Prince of Wales thinks so, too…we must all support his vision. Back to the fishing!….I watched John teasing chub with a sinking nymph; and he was impressed to see my third come to another trout which was lurking where I knew one might, below a stony outcrop; and then, ‘piece de resistance’ he hailed me to reveal another fish caught on a weighted nymph…a twelve inch pike, which was quite rightly, dispatched!! 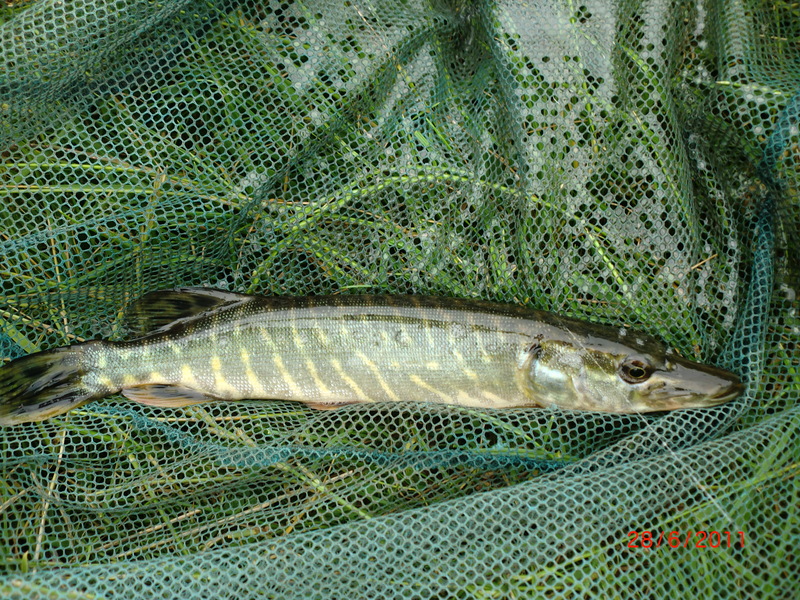 Many thanks, John, and thank you to, Warwickshire Flyfishers for indulging me. “The Willow Brook starts life in the industrial estates of Corby, Northamptonshire, and runs for about 15 miles until it enters the River Nene at Elton. Historically there has been heavy metal pollution from steel production until Corby steelworks closed in 1980. The steelworks took water from Eyebrook Reservoir for cooling and conveniently discharged it into the Willow Brook. their generosity stretches to offering a two rod visit to their water in the WTT Annual Auction, and having missed out in 2010, I was determined not to, this year, and thanks to the wizardry of e-sniper, did not! Mike ‘hosted’ my visit thoughtfully, suggesting that we walked parts of the beats in the late afternoon, prior to an evening fish, and after supper in The White Swan…and a good pint of local ale! But first things first. 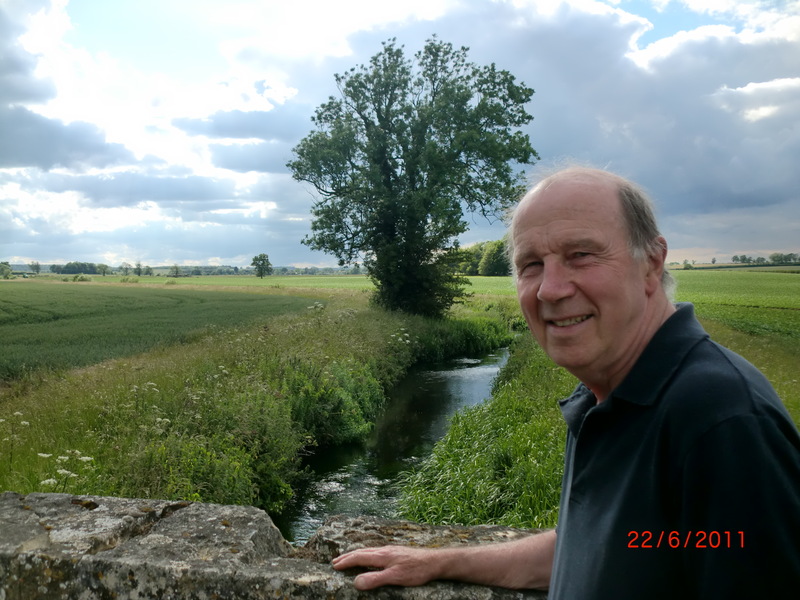 A short drive to the most beautiful village of Fotheringhay, in the grounds of which Abbey, Mary, Queen of Scots was executed in 1587 on the orders of Queen Elizabeth 1…and my first sighting of this pretty brook. Clear, limestone, narrow, waving weeds, overhanging trees…the odd dart of a disturbed juvenile, spied between high nettles and dying cow parsley and grasses on the set aside of a farmer with whom the club has a symbiotic relationship! And Chub…some of the biggest I have seen were cruising quietly, while around them, busy dace were sipping off the surface. We walked three parts of the water, and Mike shared his knowledge of his water and I sipped on this as busily as the dace I was not interested in! I picked up a ridiculously obvious tip from him…look in the spider webs to see what is hatching…how long have I been fishing? My sense is that Mike defaults to nature and rejects the current nonsense that fly pattern is unimportant, and secondary to precise presentation of whatever takes your fancy! He is mainly, like me, a dry fly fisher. nor did the returning Ian, who had a 3lb chub AND a 10” wild brown on a black klinkhammer…maybe Northamptonshire was not ready for me? 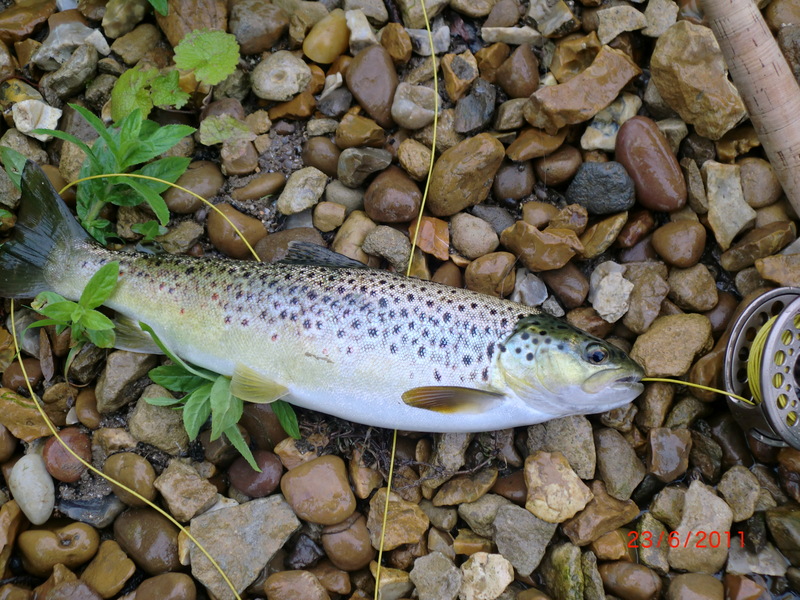 The highlight of my evening was an excited Mike, who, seeing fish moving in riffles somewhere below the Farm bridge, with spent olives afloat, caught a ‘small’ brown…..and then….the largest brown he has taken in all his years on his water. He was justifiably excited. A fish of more than 18”, weighing in, at close on 3lbs, and taken on a Sherry Spinner. He was beside himself…who would not have been? And a celebratory pint at the White Swan (albeit rather late) seemed reasonable, as I considered ’tomorrow’! 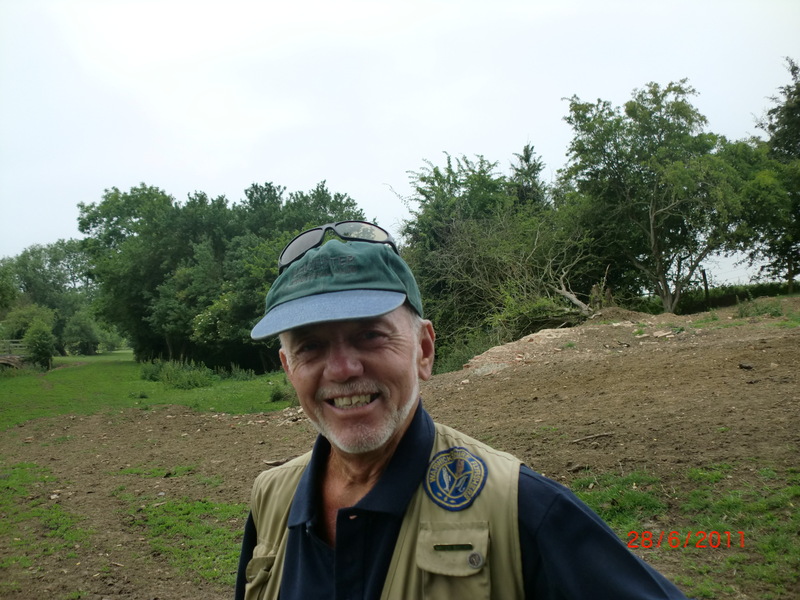 It was dry, sunny and only a little windy, and in those conditions, Mike had suggested that I worked the bottom of the water on the Nassington Road stretch, where for the right handed caster, the trees offered some protection from the westerly winds. A walk some quarter of a mile and I was into the water and hopeful. 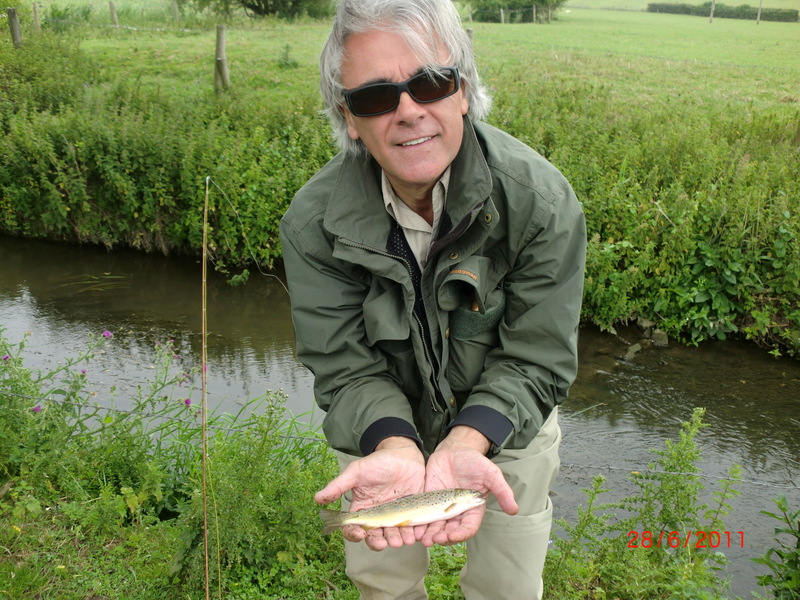 I saw some lovely chub, and some frisky shoals of dace, and at least two small trout which saw me long before my first cast to them. Wading varied from 6” over gravel, to waist deep on the edge of bends where fallen trees had scoured out silt edged deeps, and care was essential. 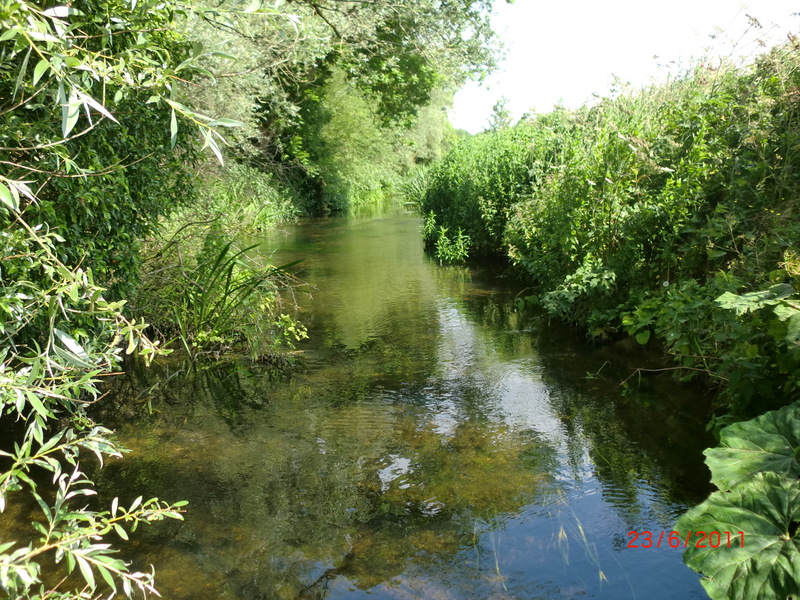 Bravery was important because the options were limited, and even within a six foot breadth, it was either a nettle attack escape, or a watery, over the top of the waders soaking….all fishers know what I mean. But in such small waters, this is always a surprise, and in particular, when seconds before you were treading on wet ranunculus, and wondering where the fish were!? Any way…I caught nor rose a single brown. But added to my catch of the now, dreaded, dace! And saw more Chub (there were some serious specimens below the bridge here), and began to wonder if it was not to be! So I drove back to Woodnewton, and began to cast into the interesting runs and deeps there, and it started to rain…hard…and even hiding under leafy fronds could not stop me from a right soaking. But when, eventually the clouds passed (for twice I ventured, prematurely, from my hideaway, and twice more a soaking!) I walked down to where, on the previous evening’s tutorial, Mike showed me where his team had manhandled one hundred tons of gravel to create new flows and breeding grounds. These were not pebbles, but stones and the work effort that must have been needed to create this stretch was massive. Wading to it, I noted the swirl of a fish in shallows at the top of the bar, that did not look chub-like! Tail fin out of the water, was it raising caddis from the stones, perhaps? To the outside of the gravelly mound, revealed by low water, in the faster run under the left bank, two fish scattered upstream when they saw me. And there’s was not chub like flight. But there was movement and some feeding no more than a decent 15 foot cast away…probably not the frightened, and my second cast, with a yellow klinkhammer at the serious end produced a ferocious take, and an excited prospector, knowing he was in danger of achieving what he came to achieve, netted a 14” Northamptonshire fish, when the same prospector thought that a ‘blank’ was most likely. The rain was followed by bright sunlight, and this must have had the awakening effect on the river that a shower can…31 now! I am immensely grateful to Mike, who as a result of our fishy conversations, and who, in admiring my lovely Moreno rod, must have realised my interest in such aspects, thought to write to me with information on where to buy the silk lines and furled leaders he uses, which I now will do. Will these help me catch more fish…probably! And even if I don’t, my pleasure in using materials which our forebears used, will connect me with our influences. 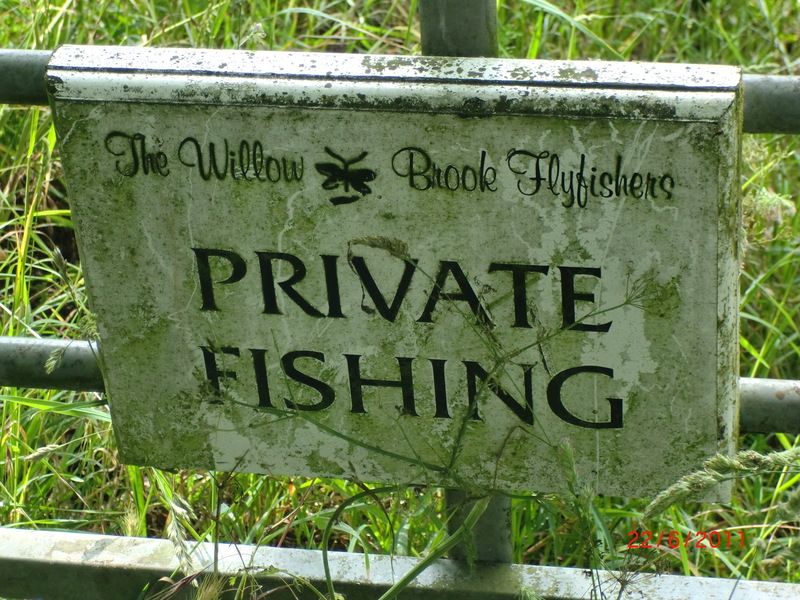 …thank you Willow Brook Flyfishers, and cheers to the WTT.